NVIDIA earlier today has revealed the initial performance figures for its GeForce GTX 2080 graphics card running at 4K HDR. 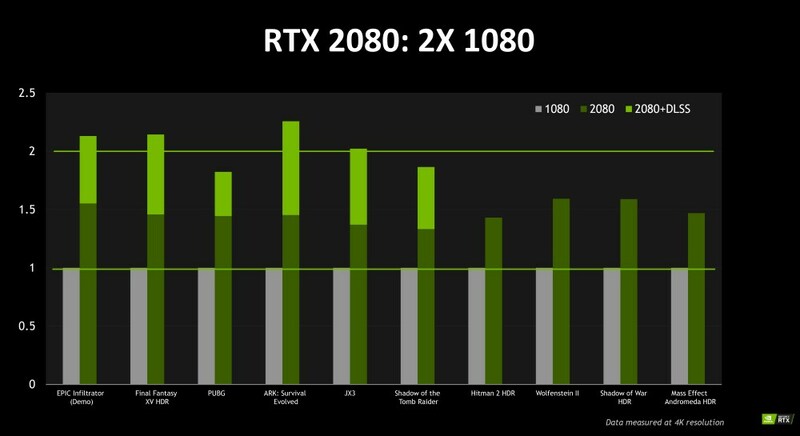 That is just one part of the story though because the company has also released another presentation slide which claimed that the RTX 2080 essentially able to deliver up to twice the performance of its predecessor, GTX 1080. As you can see, that level of performance boost didn’t come in a straight forward manner though. 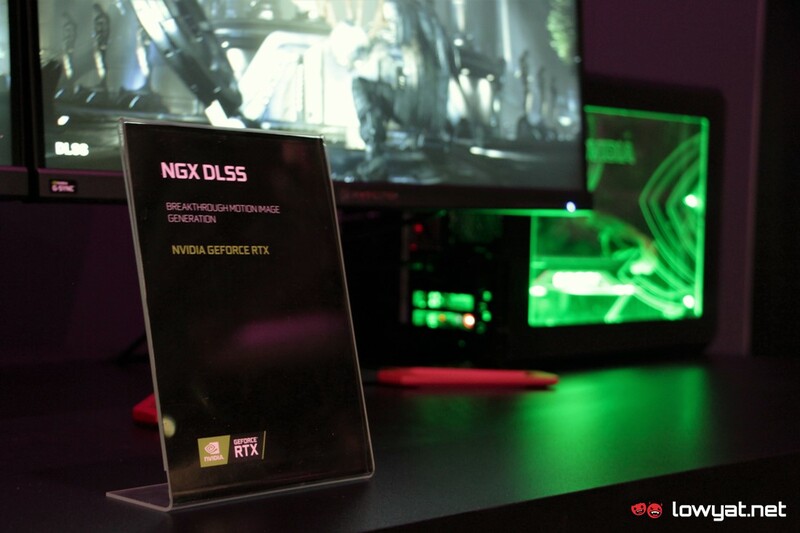 It was actually made possible through one of the new tech that is enabled by NVIDIA RTX platform called Deep Learning Super Sampling (DLSS) which is powered by the Tensor Cores within the Turing-based GPU on GeForce RTX graphics cards. Without DLSS, the gain that RTX 2080 able to achieve is around 1.5x of the performance by GTX 1080. At the GeForce RTX technical seminar in Cologne earlier today, we were actually able to see the tech in action although the demo was using the more powerful RTX 2080 Ti. 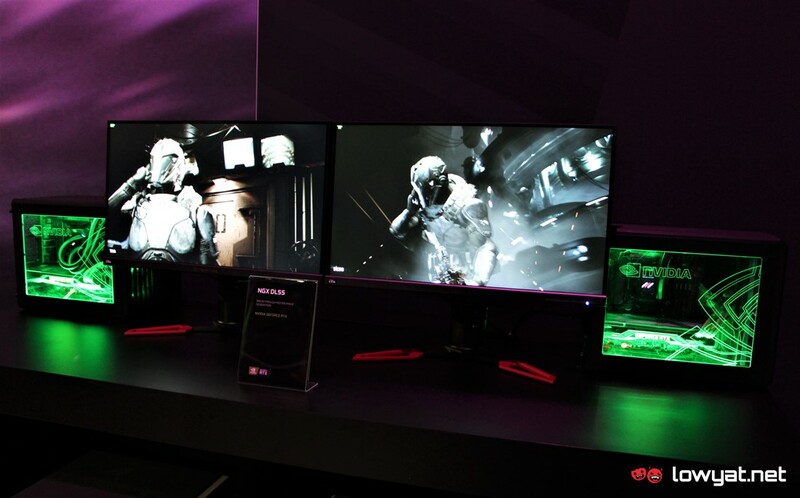 Using Epic Game’s Unreal Engine 4 Infiltrator as the workload at 4K resolution, the demo involved two test machines with similar specs with the exception of their graphics cards as one was equipped with GTX 1080 Ti while the one using its GeForce RTX equivalent. 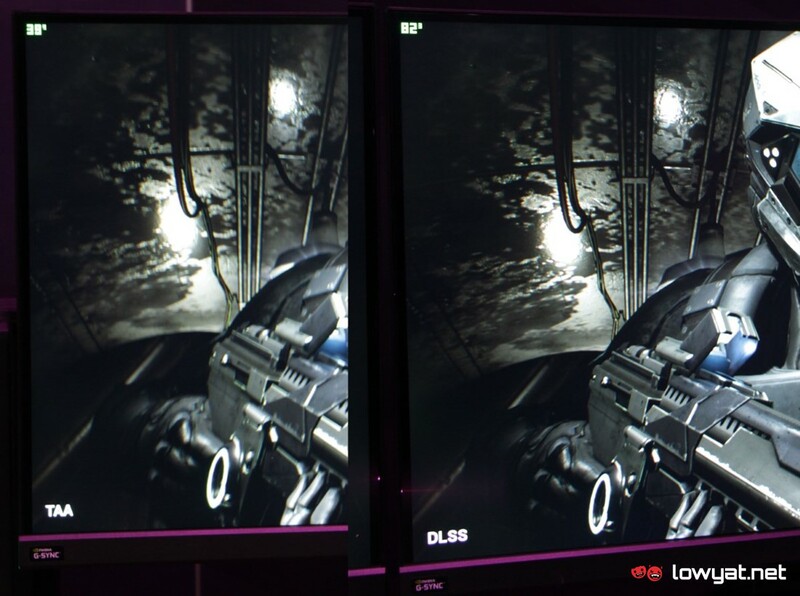 At the same time, the GTX 1080 Ti was running the demo using Temporal Anti-Aliasing (TAA) as opposed to RTX 2080 Ti machine which was using DLSS. The side-by-side setup chosen by NVIDIA for the demo pretty much helped show both the power of the new RTX 2080 Ti card and the effectiveness of DLSS. This is because the RTX 2080 Ti-based machine not only produced crisper output but in a smoother manner as well since it able to churn out twice the frame rate of GTX 1080 machine almost all the time. 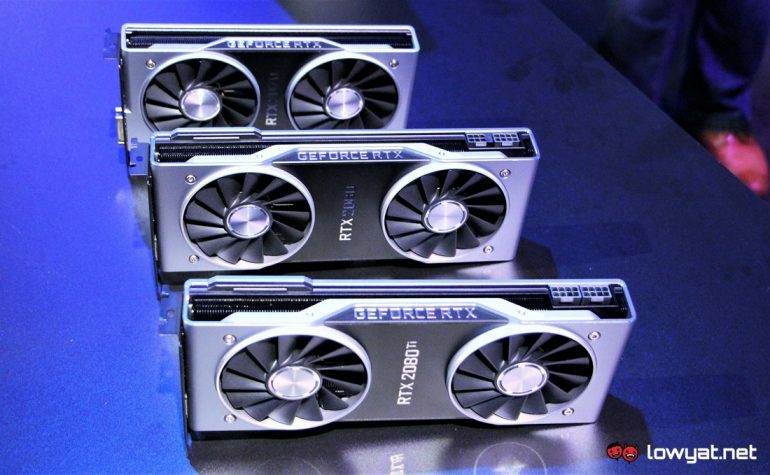 (L-R) GTX 1080 Ti with TAA vs RTX 2080 Ti with DLSS. As interesting as the demo might looked like, it is still an early look into what the new GeForce RTX graphics cards can deliver to consumers. This also applies to DLSS which will be made available soon to 16 games that are part of the RTX platform early adopters such as PUBG and Final Fantasy XV with more titles are expected to adopt the feature in the near future.